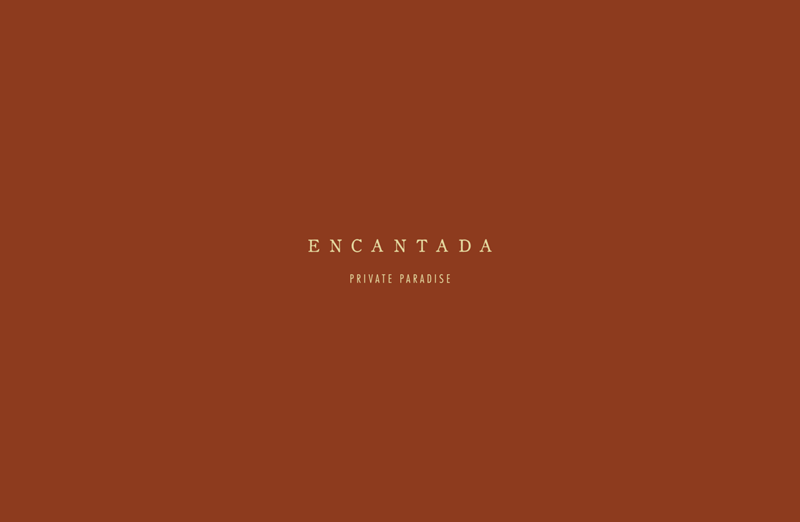 Encantada is a private paradise sprung from the millennial roots of Tulum, under the stars and moon that lightened the ancient nights; a place of magical hands of corn, wood and sea. 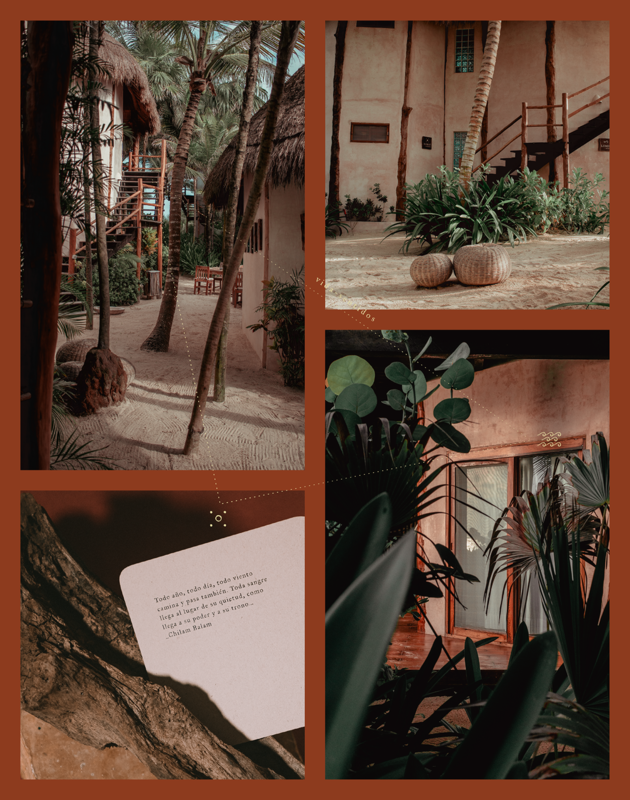 A Boutique Hotel with a soul, a dialogue with the nature and spirituality of the Mayan Riviera, Encantada is as genuine as its guests. 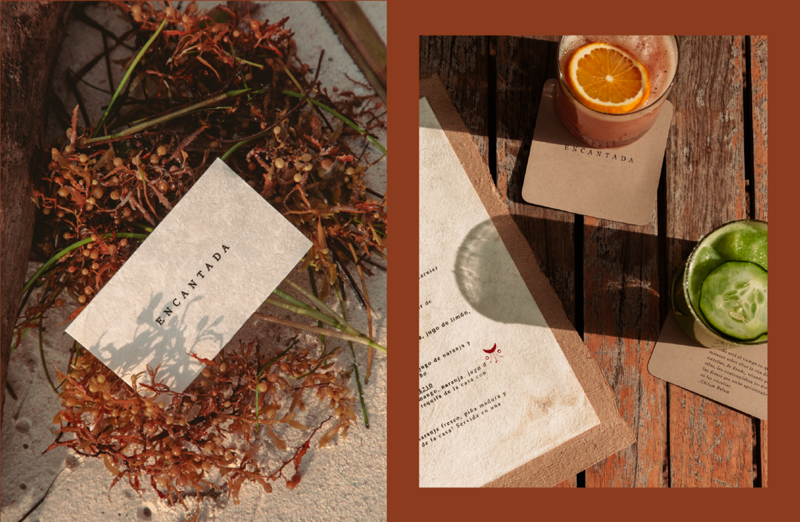 Encantada's design is inspired by the pre-Columbian age and is the result of a dialogue between the mystical Mayan roots of the land, the natural splendor of Tulum, the divine movement of the sea and the sky that creates a powerful and flexible identity, based in fluid patterns that touch the soul like the sea draw lines on the sand. 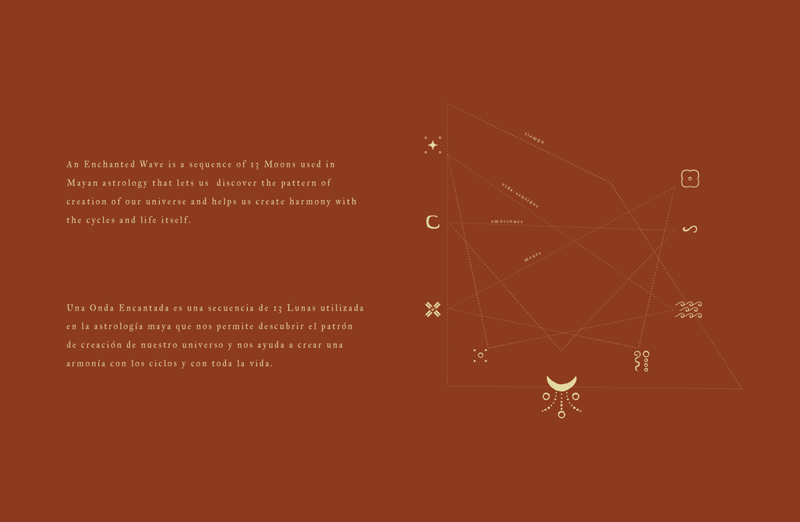 The Mayan magic, Ix, is the original reference for the isotype that becomes an arcane symbol, a spell that charms the guests with the unique culture of Tulum. 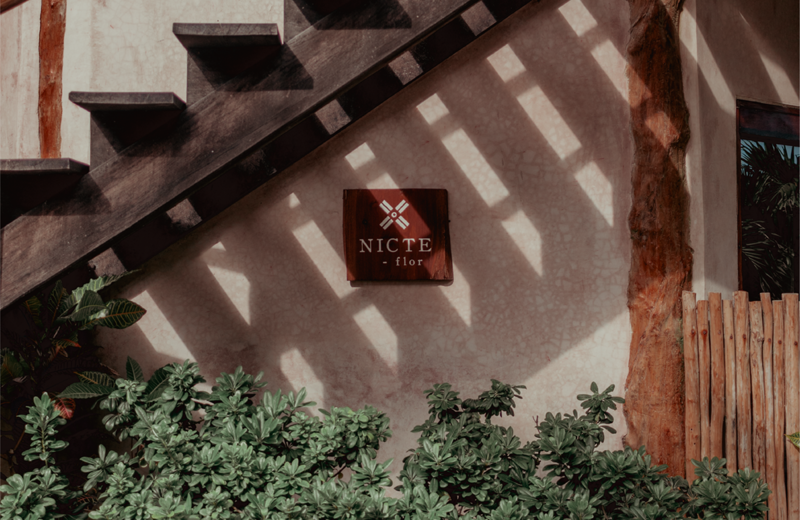 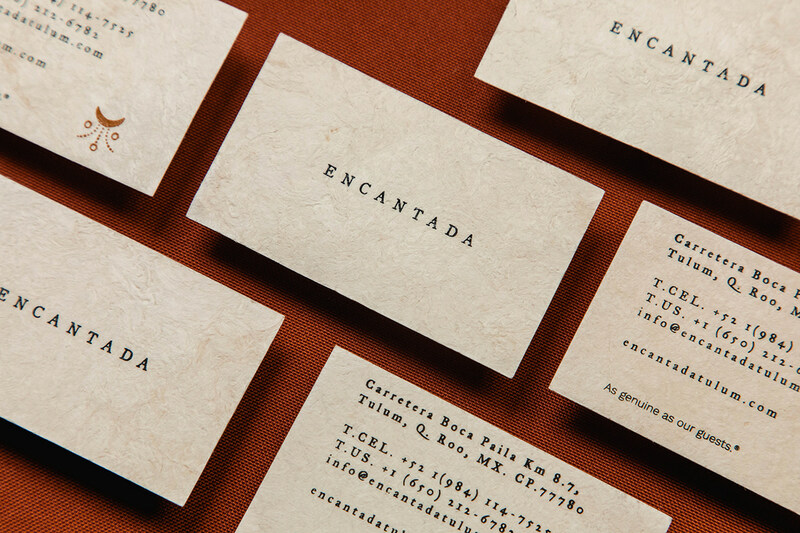 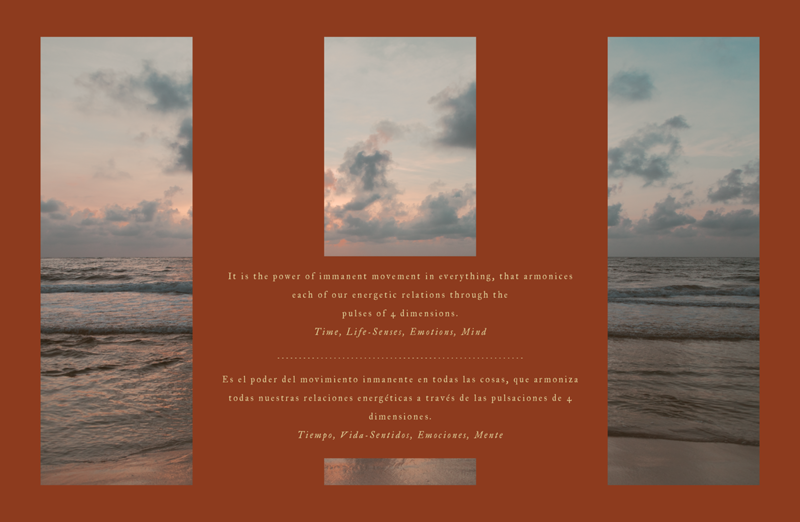 The language that characterizes the brand is based on the Mayan nomenclature and the phrases that surround us as we experience the brand originate from the holy writings of the Mayan codices. 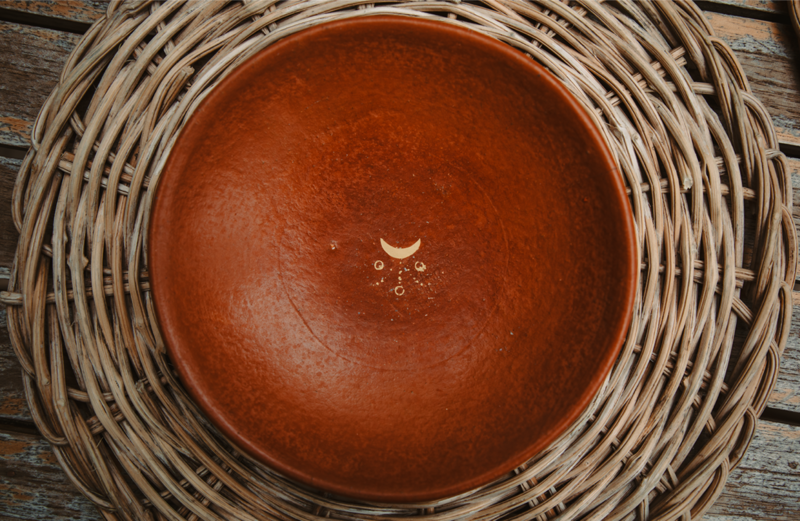 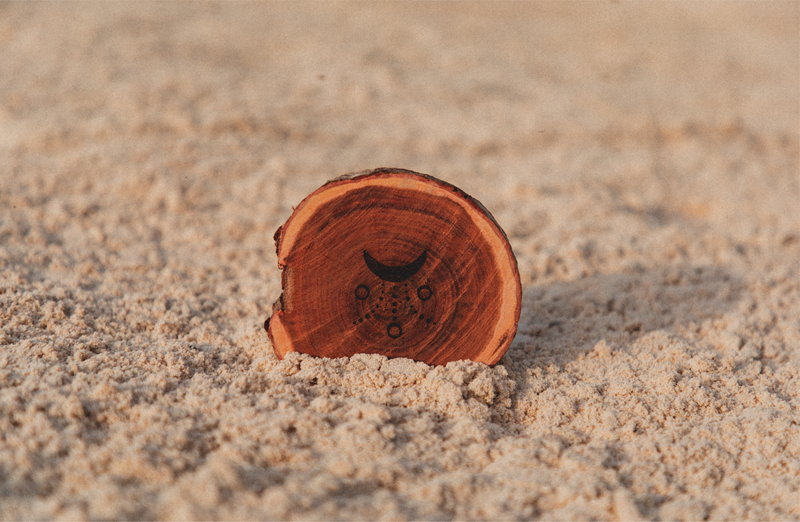 All these elements are integrated under the concept of "Enchanted Wave", the Mayan astronomical sequence that describes the patter of the creation of the Universe, the source of harmony in life and the essence of our design for Encantada Tulum. 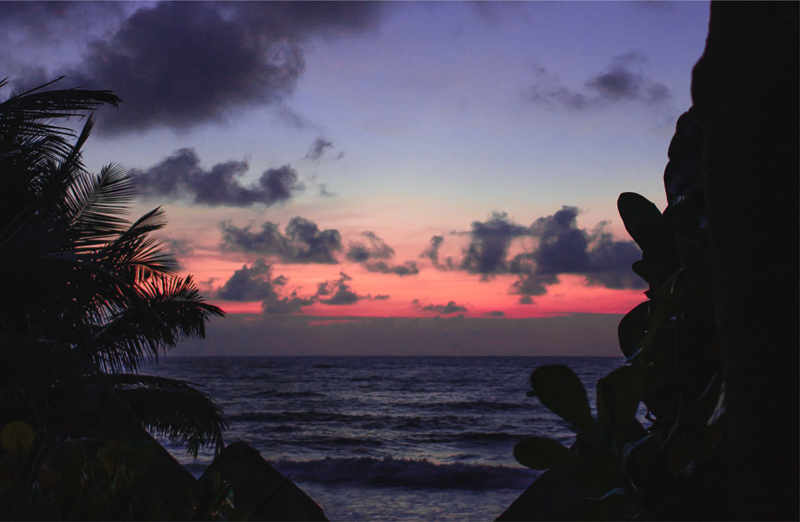 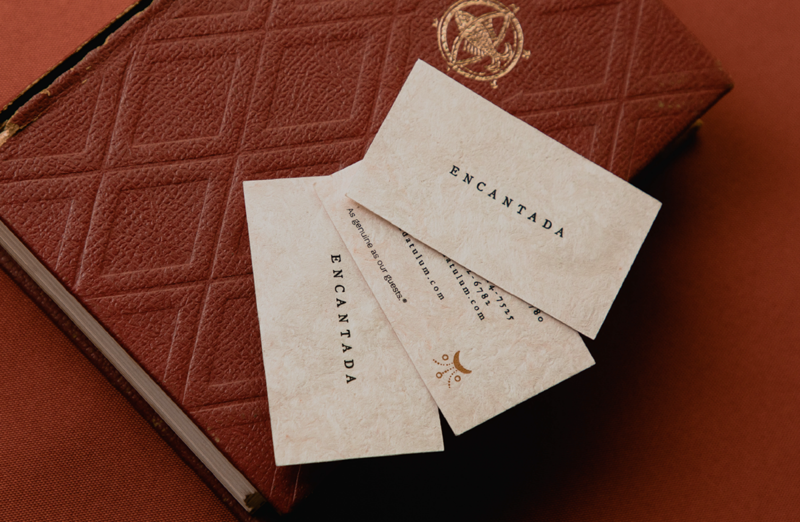 Encantada is an experience for the soul, the senses, the emotions and the time; where every detail is thought to rejoice and inspire our guests through magical spaces of gastronomy, wellbeing, beauty and relaxation, a place for an authentic dialogue with the world and oneself. 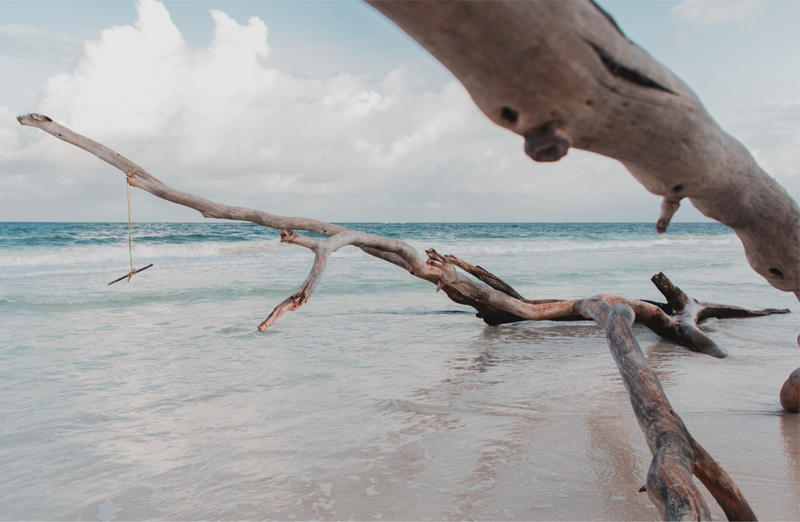 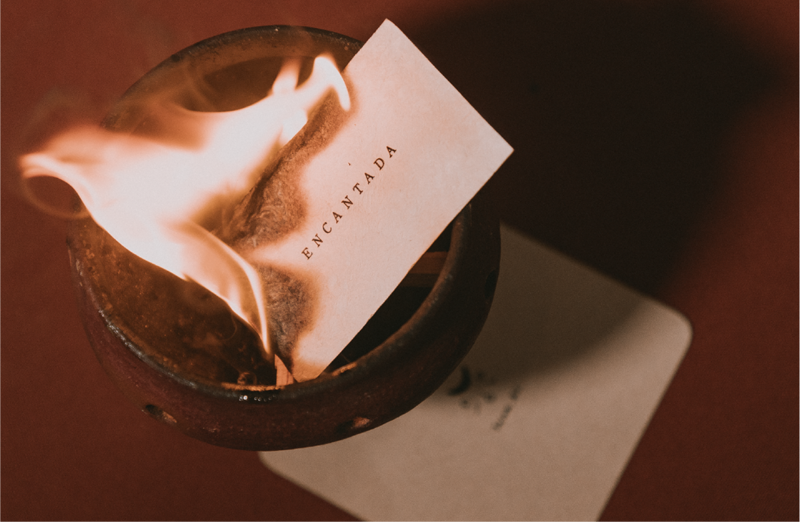 Encantada is the genuine Tulum, as is defined by this sentence from the holy book of the Mayan, the Chilam Balam: "Every moon, every year, every wind walks and passes too. 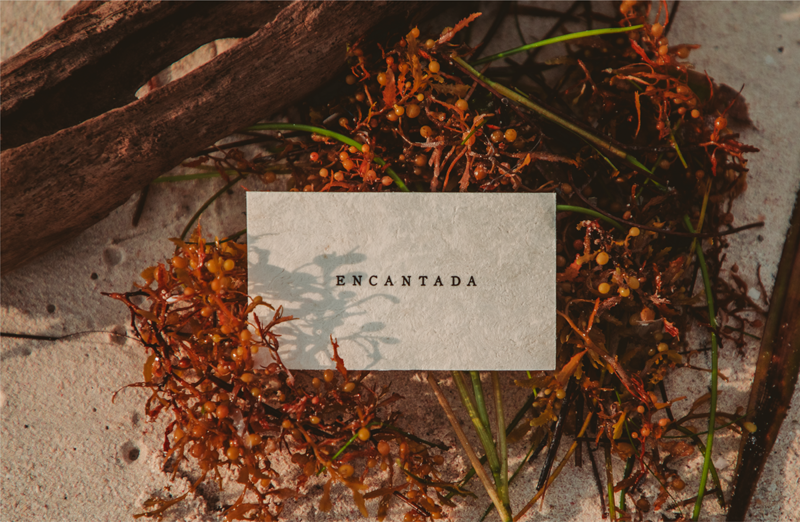 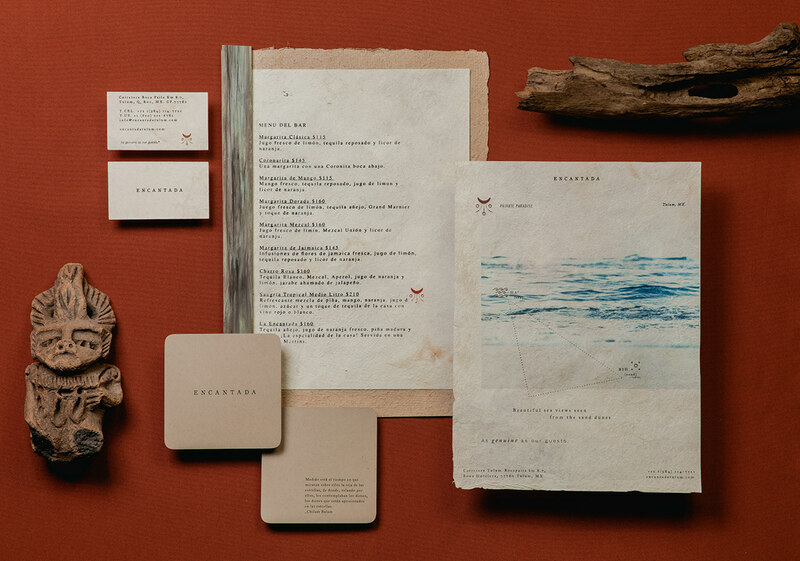 All blood arrives to the place of its stillness..."
Encantada is a private paradise sprung from the millennial roots of Tulum, under the stars and moon that lightened the ancient nights; a place of magical hands of corn, wood and sea. 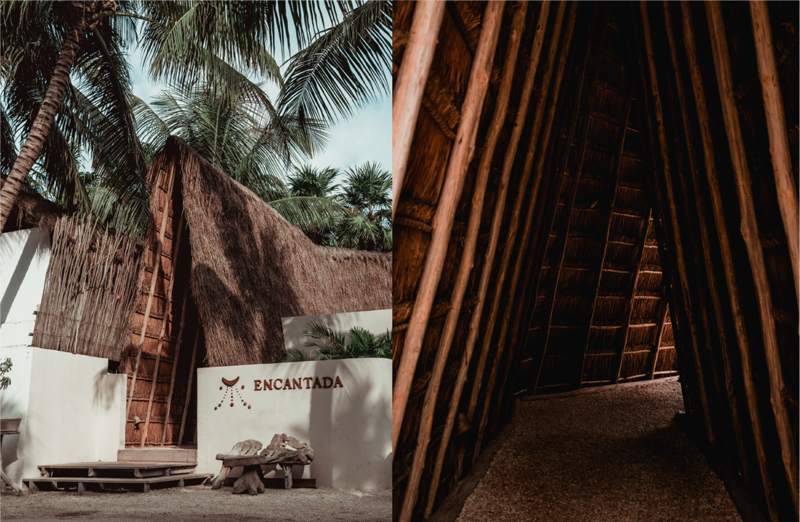 A Boutique Hotel with a soul, a dialogue with the nature and spirituality of the Mayan Riviera, Encantada is as genuine as its guests. 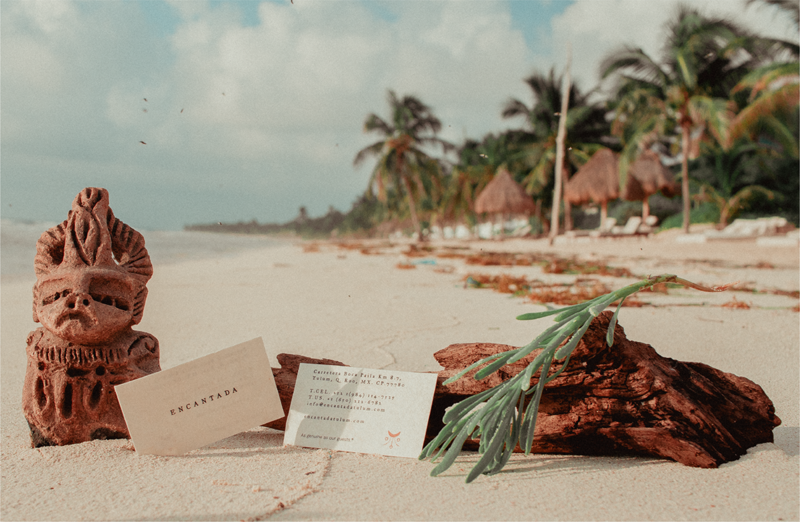 - Encantada es un paraíso privado surgido de las raíces milenarias de Tulum, bajo las estrellas y la luna del Caribe que iluminaron las noches ancestrales, lugar de manos mágicas de maíz, madera y mar. 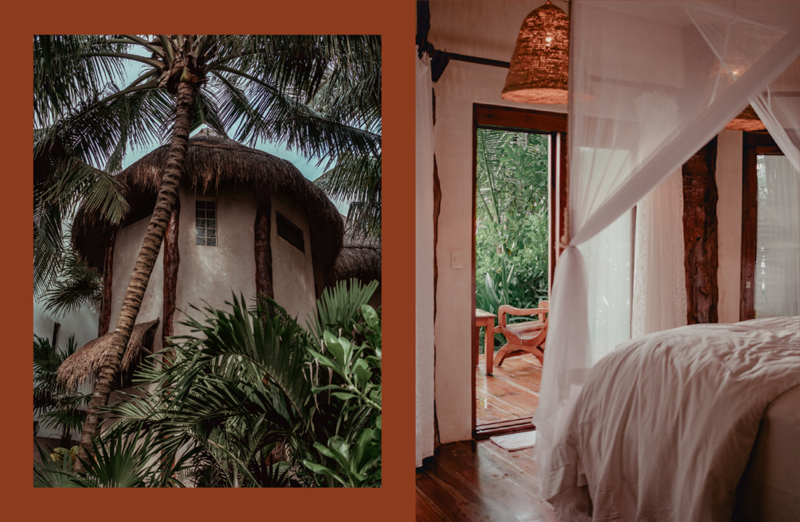 Un Hotel Boutique con alma, que dialoga con la naturaleza y la espiritualidad de la Riviera Maya, Encantada es tan genuino como sus huéspedes.